I am always up for a good challenge in the World of Warcraft. Pushing my own skills to the very edge to achieve some crazy goal, now that’s one of the most exciting parts of the game for me! However, not even I was prepared for the Mage Tower Artifact Challenge. 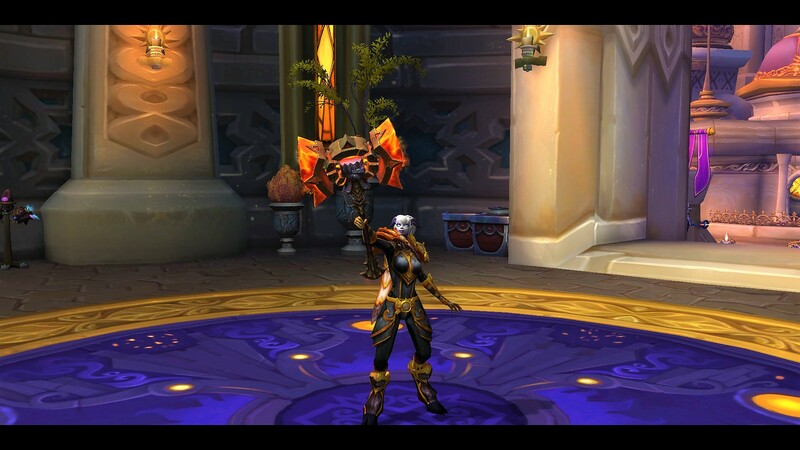 The Mage Tower Artifact Challenge is actually a collection of solo trials with different versions for different specs. There’s about five different DPS only challenges (including one for Disc Priests) and then a tank and a healer one. The trials vary in difficulty, with the general consensus being that the tank and healer ones are perhaps a touch more challenging. However, each trial is a beast in it’s own right. Despite being released when the Broken Shores dropped last patch, the Mage Tower Artifact Challenges were in fact tuned for gear from Tomb of Sargeras. That’s right, these trials were made with the assumption that you were wearing gear that wasn’t even in the game yet. Talk about a rough ride! Rather than take that as a hint to wait until Tomb of Sargeras, myself and a number of other crazy individuals decided to give it a shot. And then another. And then another. For as long as the Mage Tower Building was up in the Broken Shores, myself and a host of other players would spam the challenge in a dogged attempt to beat the challenge. Then, when the Mage Tower was down, we’d all farm Nethershards to pay for the 100 Shard cost per attempt. The challenge was completable, the handful of successful YouTube video tutorials could attest to it. However, it required either an insanely high level of gear or a lot of RNG luck. And of course, a deep knowledge of one’s class. At first, the only holy paladins I knew who’d successfully completed the challenge were all mythic raiders geared to the nines. We’re talking 910+ ilvled gear, kited out with the best. And then there was me, barely 890 with just two legendaries. But when has being underprepared ever stopped a determined paladin? In this case, it almost did. Only after about 10 item levels of gear improvement, over a dozen new traits, and a hundred attempts, was success within my grasp. But then, one fateful Sunday, on my very last attempt for the day, the stars aligned and I, Fussypants, holy paladin extraordinaire, completed the trial. And there was much rejoicing. How exactly did I do it? And can you, intrepid reader, do it too? Let’s find out, after the cut!